Smith was put on trial in New York for violating the Neutrality Act of 1794. Judge William Paterson ruled that the President “cannot authorize a person to do what the law forbids.” Smith was found not guilty, but was stripped of his position and any steady means of income. The Smith family would continue to have financial difficulties due to poor investments and business ventures. Abigail Adams’ concern for her daughter’s welfare continued; mother and daughter even discussed divorce, almost unheard at that time. 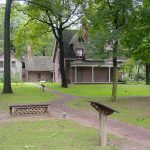 In 1807, the Smiths moved to a small farm in central New York State, and began to recover socially and politically. In 1810, Nabby felt a lump in her breast and was diagnosed with breast cancer at the age of 45. The lump grew ominously, in spite of the efforts of local healers and their potions. Nabby wrote to her parents in February 1811 that her doctor had discovered “a cancer in my breast.” As soon as they received the letter, they wrote back urging her to come to Boston for medical advice. Soon after her arrival in Braintree, Nabby wrote to family friend (and Founding Father) Dr. Benjamin Rush, describing her condition and seeking his advice. She told Rush that the tumor was large and growing, but that it was “movable” – not attached to the chest wall. Rush found the news encouraging, because it was more likely that the surgeon could remove all of the diseased tissue. I shall begin my letter by replying to your daughter’s. I prefer giving my opinion and advice in her case in this way. You and Mrs. Adams may communicate it gradually and in such a manner as will be least apt to distress and alarm her. 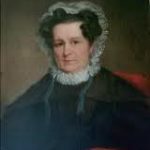 On October 8, 1811, a mastectomy was performed on Nabby Adams by Boston’s most skilled surgeon, Dr. John Warren, without any anesthesia, in an upstairs bedroom of the Adams home. Her parents were holding her hands during the brutal surgery and, according to John, she never cried out once. Exact details of the operation are not available, but it was certainly typical of early nineteenth surgery. Warren’s surgical instruments, lying in a wooden box on a table, were quite simple – a large fork with two, six-inch prongs sharpened to a needle point and a wooden-handled razor. In the corner of the room a small oven, full of red-hot coals, heated a flat, thick iron spatula. Warren raised her left arm above her head to raise the breast, while another physician held her raised arm and another stood behind her, pressing her shoulders and neck to the chair. Warren then straddled Nabby’s knees and thrust the two-pronged fork deep into her breast, then raised it up, lifting the breast from the chest wall. With the large razor he sliced into the base of the breast until it was completely severed. When Warren had removed her breast, tiny malignant cancers were left behind. By the spring of 1813 some of those had grown into tumors of their own – visible in the scar and on the skin as well. Her doctor in New York changed the diagnosis: the cancer was back – everywhere. Nabby declined steadily, finally telling her husband that she “wanted to die in her father’s house.” William Smith wrote John and Abigail in May; they prepared Nabby’s room and waited for her arrival. The trip was unimaginably painful – more than three hundred miles in a carriage, over bumpy roads. When they finally reached Braintree on July 26, Nabby was suffering from grinding, constant pain. Her appearance shocked John and Abigail – she was gaunt and thin and wracked by a deep cough. She groaned and sometimes screamed with every movement. Huge, dark circles shadowed her cheeks. Nabby’s pain was so unbearable that Abigail slipped into a depression so deep she could not stand even to visit her daughter’s room. John Adams cared for their dying daughter, feeding her, cleaning her and seeing to her personal needs, combing her hair and holding her hand. He also administered pain killers, but nothing seemed to help. Your friend, my only daughter, expired, yesterday morning… in the 49th year of her age, 46 of which she was the healthiest and firmest of us all: since which, she has been a monument to suffering and to patience. John and Abigail Adams never truly recovered from Nabby’s death. 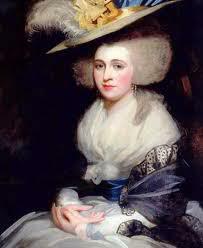 Abigail died on October 28, 1818, at the age of 73. 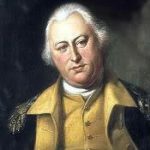 John Adams lived eight more years, passing away on July 4, 1826, the 50th anniversary of the Declaration of Independence. Thomas Jefferson died the same day at Monticello.